A man has been sentenced for possession of cocaine which he intended to supply. 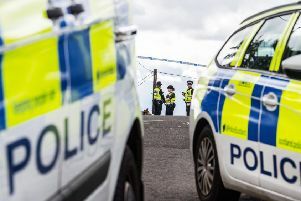 George Graham (27), of 15 Randyford Street, appeared at Falkirk Sheriff Court on January 12 having been apprehended on October 9 last year in Clydesdale Street, Bo’ness. He had £1200 worth of the substance. Sheriff John Mundy ordered that Graham be under supervision for 18 months and complete 200 hours of unpaid work.